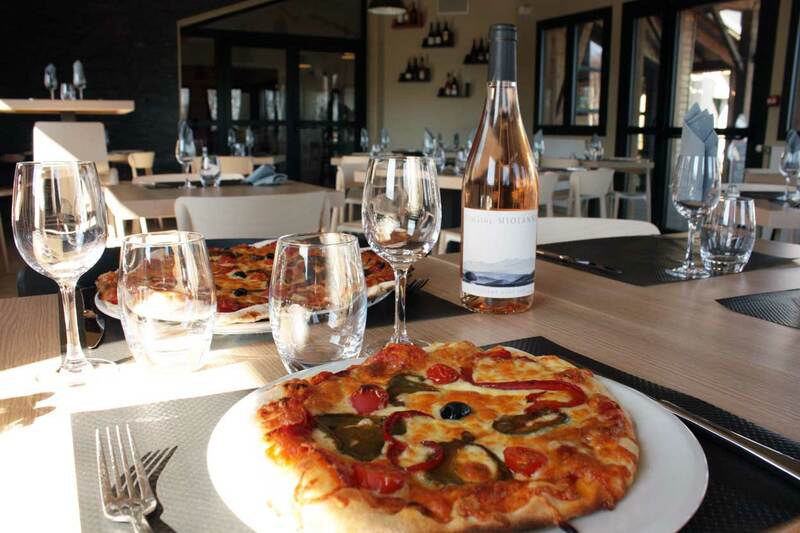 Restaurant d’Archipel Volcans welcomes you for family meals, dinners with friends or with your club or association, separate from the hotel in a green and natural environment. 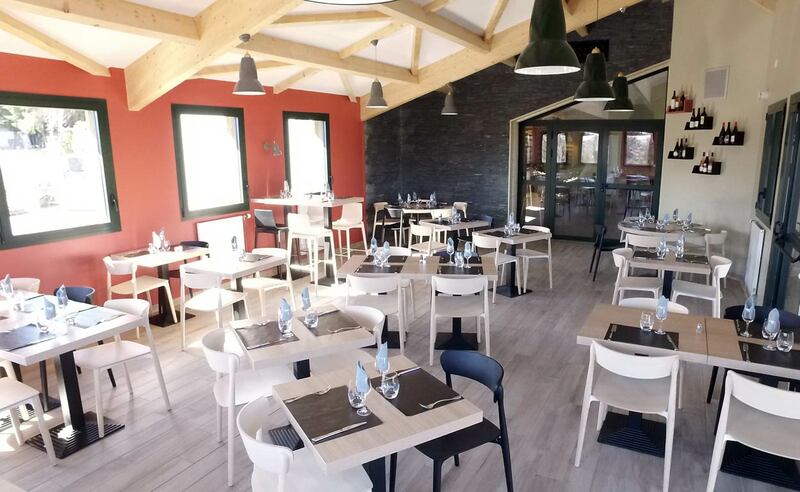 Enjoy a delicious meal in our new and bright dining room (seats 80) or relax on our terrace (seats 60), facing the puy de Dôme. A treat for the taste buds and the eyes ! Our new chef includes friendliness and sharing in every dish he prepares. 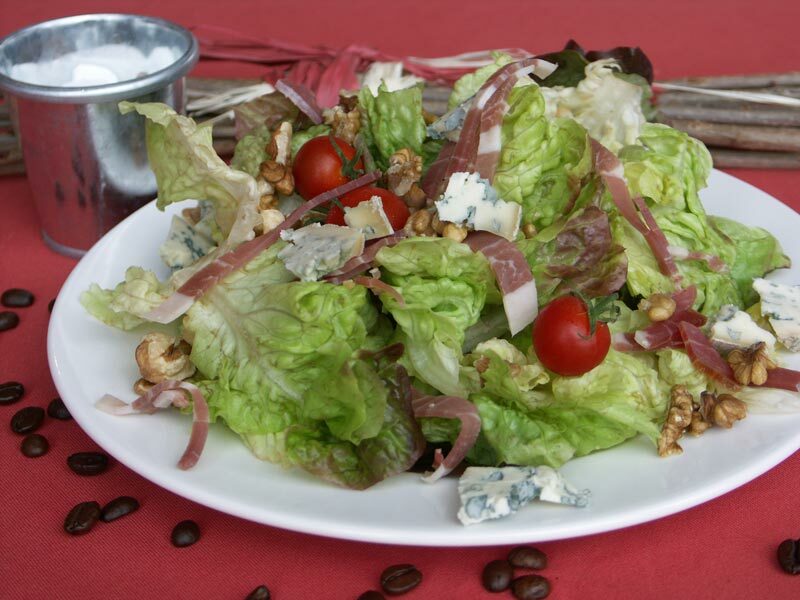 You won’t be able to decide between the delectable truffade, our tasty home-made pizzas, or our colourful salads. Plus, we have a special regional or traditional suggestion every day. 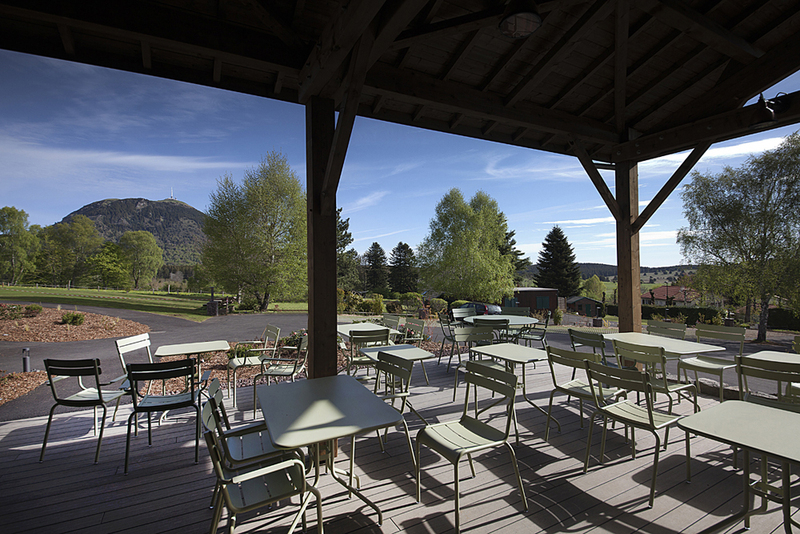 Archipel Volcans offers a relaxing setting for group meals with associations and clubs, family events (reunions, baptisms, anniversaries, communions, etc.) or business meetings. Our team can help you create a special menu with a regional or more traditional touch based on your desired theme or ambiance. You can also let the chef decide for you, by choosing one of our “ready-made” menus. You can privatize our puy de Dôme hall (70 m²) to fully enjoy the shared moments with your group. 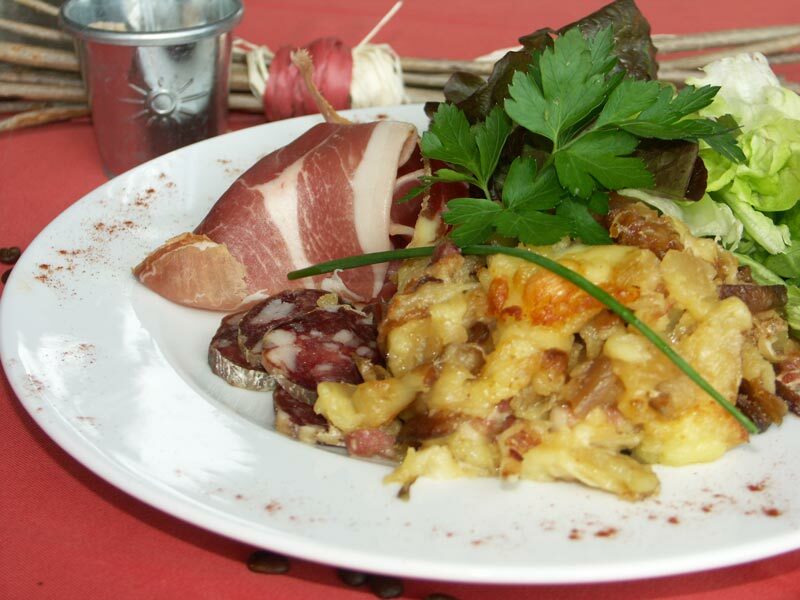 Enjoy a bite at the base of the puy de Dôme. Are you travelling through our region, or is your group organising a tour? Archipel Volcans is ideally located five minutes from the Panoramique des Dômes and 15 minutes from the Volcan de Lemptégy and Vulcania. Tourism professionals, please contact us for information on meals. Come enjoy our terrace when the weather is fine! With new stylish furniture and an incredible view of the puy de Dôme, all that’s missing is you. And if the weather isn’t cooperating, head inside to our friendly bar! Our bar menu includes hot and cold beverages, cocktails and beer (drink in moderation). Open every day from 9AM to 9PM, from Easter to All Saints’ Day.